Callaway Strata is a specialist golf package designed exclusively for female players. 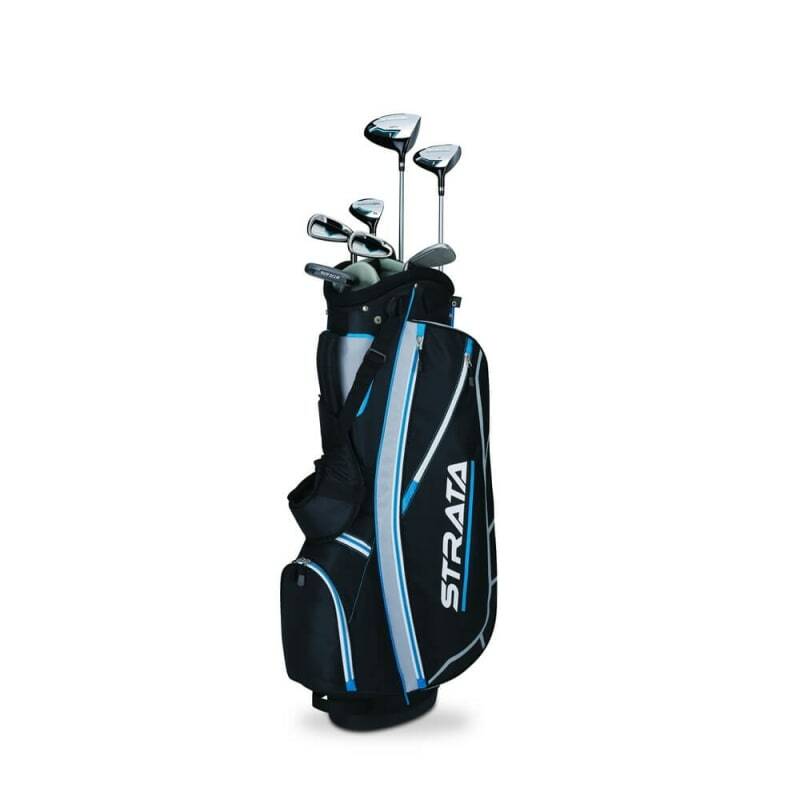 With a single order, you can have a quality golf bag complete with seven fantastic golf clubs to help with a range of tricky shots. Designed for right-handed players and made from graphite (except for the steel putter) the clubs will give you three irons, one driver, one fairway wood, one hybrid, and a putter. Three head covers have been included for the driver, fairway wood, and hybrid. The bag itself is lightweight but durable and comes with padded carry straps, which will let you carry it around the course without tiring after the first couple of holes. You can then prop up the bag using the stand while you pick your next club. Get a complete golf set designed to help female golfers excel. Order your Callaway Strata golf package today.